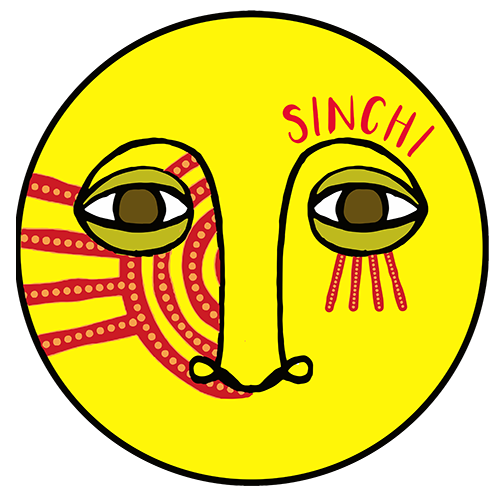 Sinchi & Friends 41 comes from rising star of the Mexican electronic scene Rigopolar . We’ve been big fans of his productions for some time and reckon there’s much more to come. This mix was inspired from his recent visit to Mar de Cortez, Baja California where he said the nights are magical… in his own words ‘this mix is a trip to the desert and to those nights in the middle of nowhere’. I am Menio Brown a.k.a. Rigopolar, Mexican electronic music producer born in the north of the country in a full mooned September night of 1982. 2)What have been your highlights from the last 12 months? I’ve been in the shadows of my studio cooking new dishes, EP’s, and remixes. My new EP “Greater” will be released in July by Nazca Records. Right now I’m finishing some remixes for Italo Brutalo, Swing Atoms (Mx) and Tronik Youth, after this I will begin working on a new EP. Surely there will be more stuff coming for the end of the year. The universe, where we come from and where we are going, evolution, questions that come up every day. Everything is an influence. Simple: Mezcal (before and after). My favorite DJ is someone who can tell a story, send a message, has something to say…I have several on my list. Jonathan Kusuma /LUM /Golden Bug…surely you know all of them but I really love their sound!